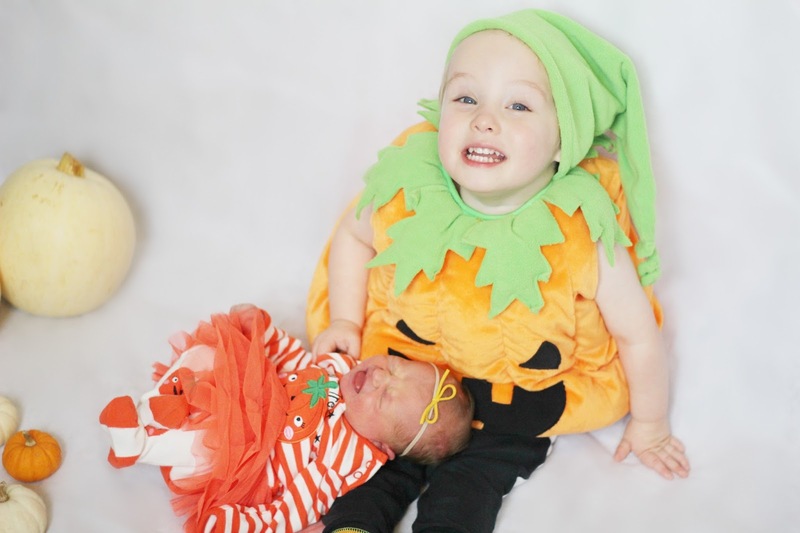 So it's halloween nearly and I thought what better way to remember Iris' first halloween and Lucas' love for pumpkins, than in some cute sibling photos... well it didn't go to plan. Iris just wanted the booby and Lucas didn't want to hug her. Taking photos of your kids doesn't necessarily always go to plan and on this occasion, a sleep deprived mummy decided that she didn't have the patience and took some of them separately. I just wanted to remember the cuteness of them both as pumpkins. We have a halloween party tomorrow, so we'll be getting these costumes out and then we're taking Lucas trick or treating in our little road on Monday evening and he'll get to wear his costume again then! As you can see the photos of them together did not go to plan, but I find them funny and quite cute. 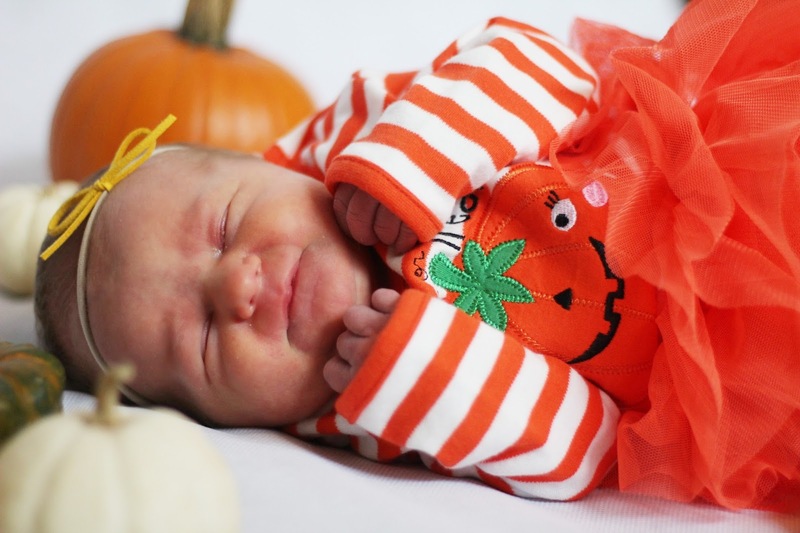 I'm so glad our little pumpkin (I will forever refer to her as that) arrived before halloween. we'd bought her little halloween costume and kept the receipt just in case she arrived after halloween. She looks super cute in her little tights and tutu combo. 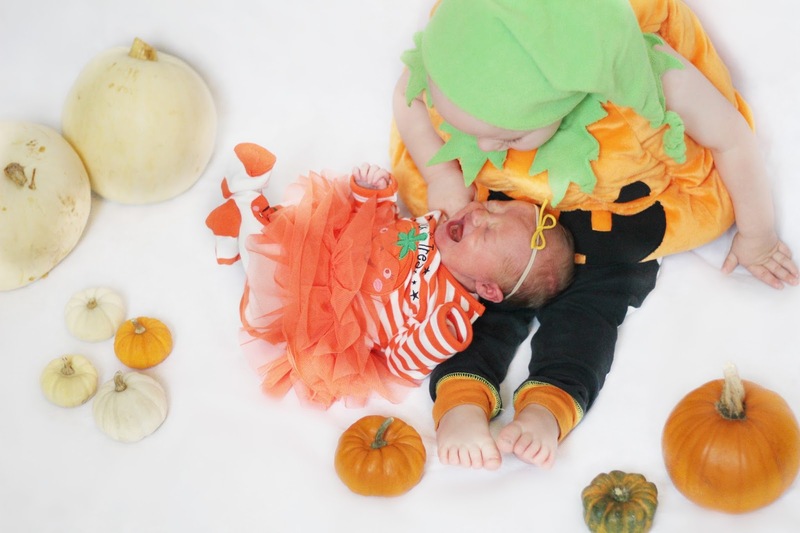 Lucas adored her in this costume, talking about her pumpkin. 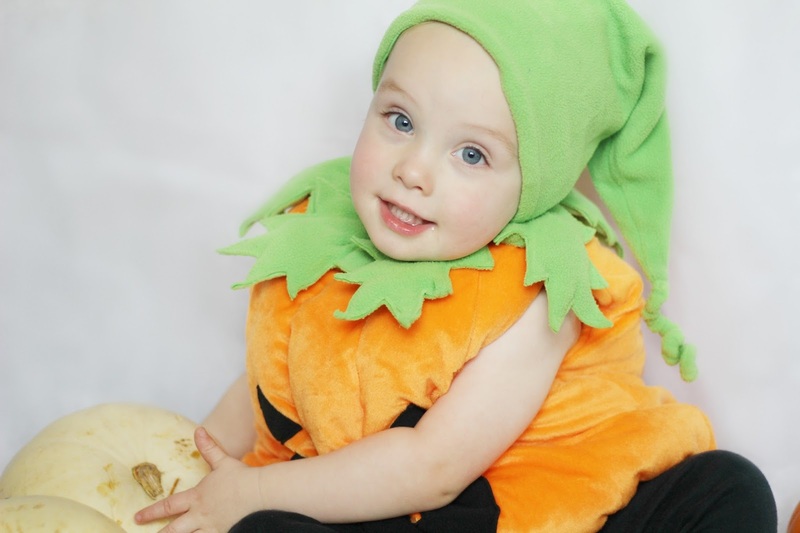 He loves his sister so much anyway, so dressed as his favourite vegetable was a bonus. Dressing up for halloween and decorating our house is my favourite thing to do, except dressing up and decorating for christmas. 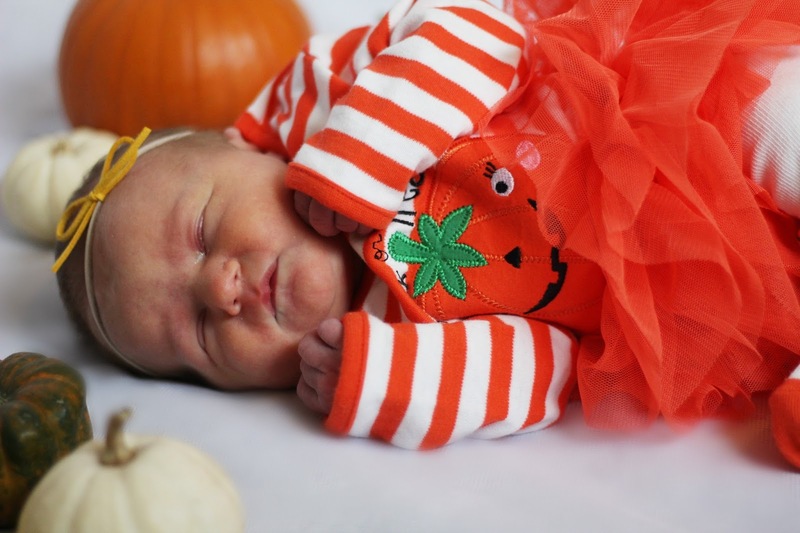 Our little pumpkin is absolutely adorable, but she is far too mummyfied and booby obsessed to take too many photos of at the moment. 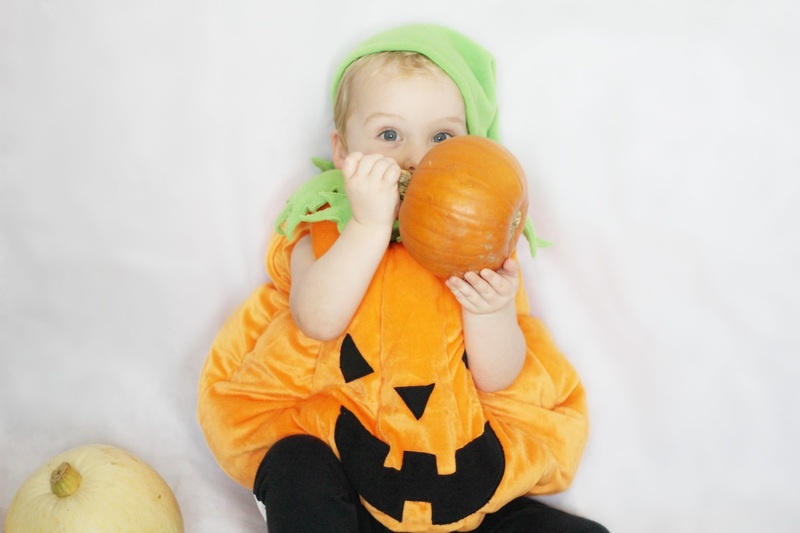 Lucas on the other hand is absolutely adorable as a pumpkin and is so funny as this big chunky pumpkin. He has such a love for pumpkins and pumpkin parties and halloween in general. He loves spiders and funny bones and skeletons in general. He's certainly my child. 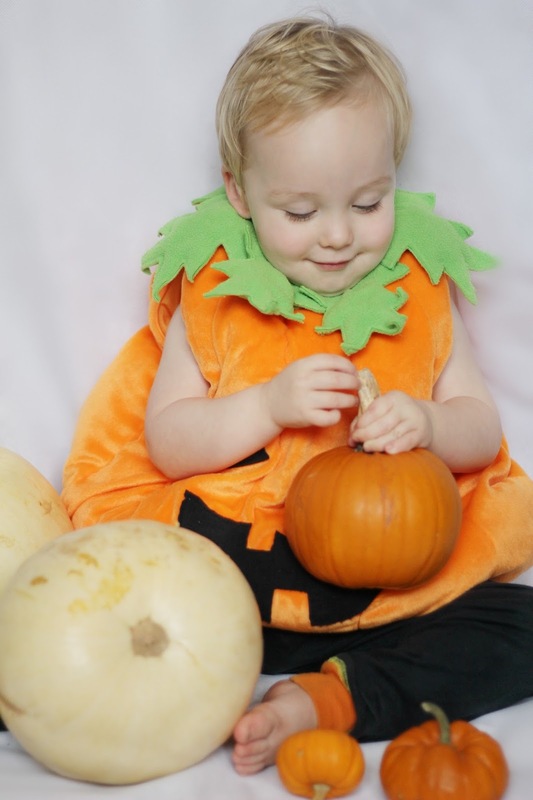 He has been naming all the pumpkins, "mummy pumpkin," "daddy pumpkin," "ducas pumpkin," ect.... it's just super cute. Halloween is so much fun and we love it. I'm so excited for Monday, we are getting Iris registered, then once were done in town it's home for trick or treating, a stew and a halloween film, before hot chocolate, snuggles and bed. I really do love halloween. What are your littles going to be this halloween? Extra cute photos of Lucas are below too.